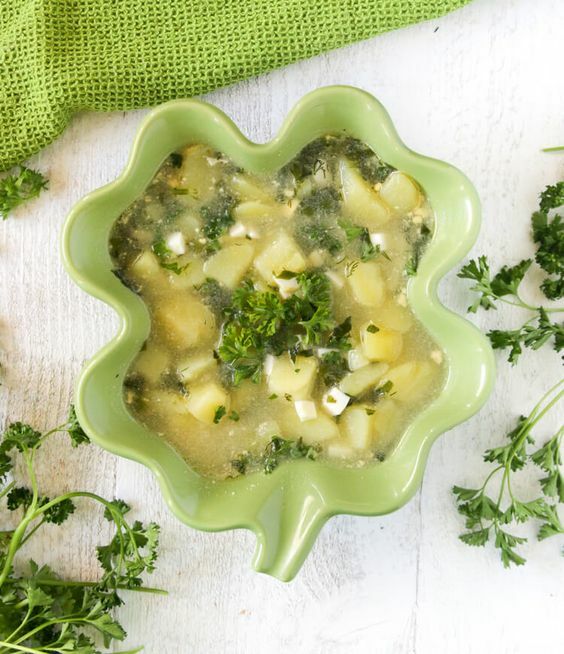 There is nothing better than a fresh bowl of green herb soup on a sunny, but chilly, mid-March afternoon. My mom used to make this soup when I was a child, and now I serve it to my kids and they love it. When I can't find sorrel (which is in most Whole Foods stores), I use spinach. This is one of my favorite soups. I love the greens and the fact that this soup’s taste is not overwhelming like others. Fill up a pot with 6 cups water. Add in chicken and 1 Tablespoon of salt. Boil for 30 minutes. Boil 3 large eggs for five minutes. Let them cool down before peeling and chopping. Add potatoes into the chicken water. Boil until soft. Add to the soup pot parsley, dill, sorrel, eggs, and green onion. Add in white sautéed onions.